‘Aspects of Self’ are parts of one’s personality that allow and assist a person to function and respond to their environment and daily life experiences. The basic group of ‘Aspects’ present in humans are: Heart Self, Emotional Self, Ego Self, Critic Self, Mental Self, Injured Self, Injured, Child Self, Divine Feminine and Divine Masculine Selves, Shadow Self, Sexual Self, Spiritual Self, and Fearful Self. There are additional aspects that may be present in an individual, such as, Enabler Self, Empathic Self, Healer Self, Saboteur Self, etc. They would be like department managers in a corporation – your ‘Conscious Self’ being the ‘Corporation’. In a normal person these ‘Aspects of Self’ are scattered and disconnected within the person. This disconnect prevents the person from being in their center, being present and functioning as one’s best cohesive self. 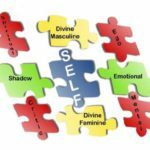 Where should these ‘Aspects of Self’ be located? They should be in your Heart Center. As human beings, we are learning to live our life in balance, through our heart. Gathering ‘Aspects’ from their scattered locations and bringing them back to your Heart Center allows them to assist you in living life in balance through your heart. With the recovery and relocation of your ‘Aspects of Self’ to your Heart Center, your department managers (Aspects) begin to work and function together as a team for you, the Conscious Self. You then have and understanding of how and why you are reacting the way you are to life and take immediate action as needed. Read Shaman’s Blog – Aspects of Self – Who’s Driving Your Bus Today? Gary will be offering private Soul Recovery/Shamanic Journey sessions during his stay in Mount Laurel. 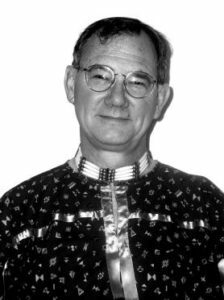 Gary Gent is a traditionally trained Shaman of Cherokee/Irish descent. Gary began his shamanic training at the age of six. His father was one-quarter Eastern Cherokee of the Wolf Clan and what Gary calls a “Closet Shaman”. As is typical with traditional training, Gary’s training began without explanation spending many hours on focus and concentration exercises, as well learning to work with Spirit, animals, and nature. After experiencing “life”, Gary was called to finish his training. Now, over two decades later, Gary works full-time as a shamanic practitioner doing journeys or shamanic healings, both in-person or by phone consultations. He conducts playshops on soul recovery, energy work and connecting with self, spirit and nature — walking a shamanic path. Gary conducts ceremonies such as sweat lodges, naming ceremonies and weddings as a Minister and Diplomat of Earth Stewardship of The International Assembly of Spiritual Healers and Earth Stewards.